Many of us might choose to cuddle up on the couch this romantic Valentine’s evening and watch something smoochy like Love Actually, Four Weddings and a Funeral or Notting Hill. But there are many films that capture romance better and, despite their titles, capture it more accurately than traditional romance genre movies. 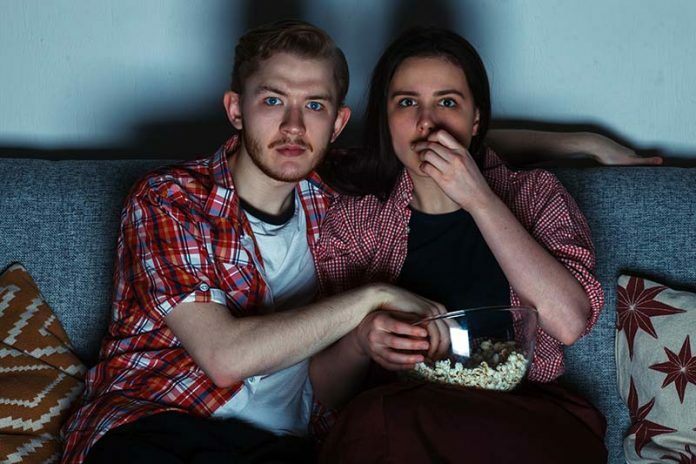 Many such films offer a manufactured, fairy tale romance that bears little resemblance to reality, so I’ve compiled a list of some alternative romantic films to watch over Valentine’s Day that I think offer a more passing resemblance to real life romance as reflected on screen. They’re alternative, so no Casablanca or Gone with the Wind here. Director Alex Garland was best known for his novel The Beach, before entering the world of film directing, and he didn’t disappoint. 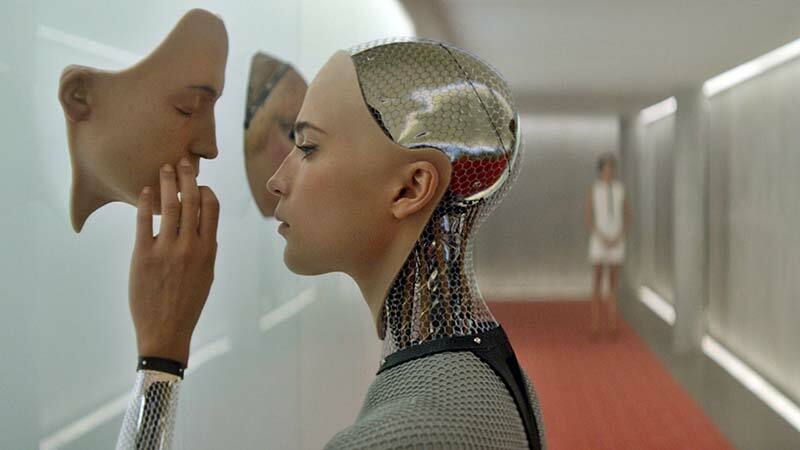 Ex Machina is a cautionary tale, an almost Brothers Grimm for the 21st Century. However, at its centre is a fractured romance with a humanoid android called Ava, which fuels the protagonist Caleb Smiths motivations, which ultimately, like many doomed love interests, leads to dire consequences. Ex Machina asks deeper questions as to the limits of artificial intelligence, what defines humanity or reality, can a soul be created or imitated, and will AI technology surpass our fragile society and take advantage of our weaknesses, the way humanoid Ava does in the film. 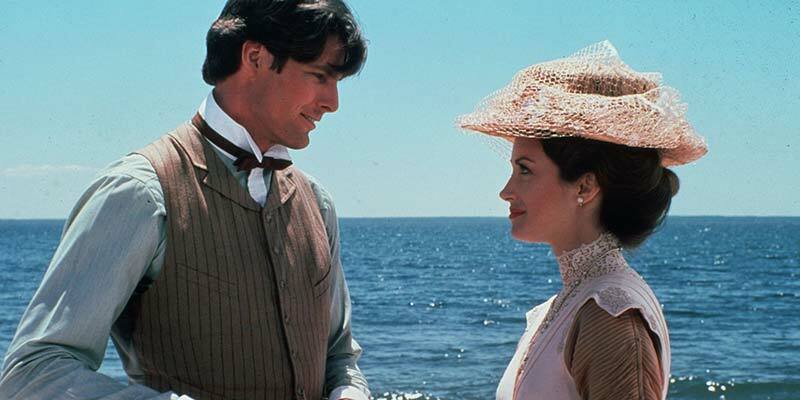 Somewhere in Time didn’t have a significant impact at the box-office but grew into a great cult film. It features an early role for Jane Seymour and Superman himself, Christopher Reeve. It is beautifully made… that phrase gets thrown around a lot but this film really deserves the description. It’s truly gorgeous to look at and has a stand out score by John Barry which compliments the film perfectly. Again, it’s a story of a complex love affair, based on a novel by Twilight Zone writer, Richard Matheson who wrote the screenplay and, beneath the romance and assuringly gentle setting, there are dark undertones. 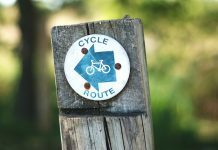 The ending can be emotionally ambiguous or sentimental depending on your view of life – it didn’t resonate with me as a completely happy ending. The story surrounds the character Richard Collier played by Reeves, who may or may not (there’s an air of ambiguity) have seen a portrait of someone he fell in love. It turns out the picture is dated from around 1912, and this leads Collier into a Twilight Zone type plot involving time travel. There’s chemistry between the two leads and the effort Collier puts into reconnecting with his lost love is gruelling as much as it is heartfelt. 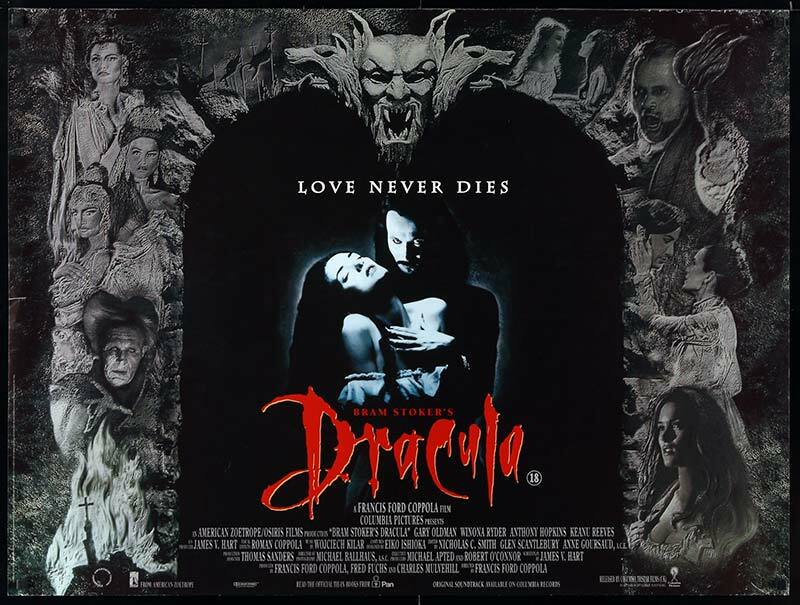 Bram Stoker’s Dracula ran on the phrase ‘Love Never Dies’. It came out of nowhere in 1992, film producers had struggled to adapt classic horror novels Frankenstein and Dracula into films resembling anything close to the original source material. Universal Studios had put their spin on it, and in Britain, Hammer Studios also produced a very lucrative franchise from both stories; however, both were original concepts save a few similarities, and were devoid of any memorable serious romance (Bride of Frankenstein as the exception). 1992’s Bram Stoker’s Dracula turned the monster into a man, who happens to have a serious crush on Mina Murray, whom Dracula believes is reincarnation of Elisabete, who tragically committed suicide. Like all great horror novels, particularly Dracula and Mary Shelley’s Frankenstein, the source of the horror is a human one. Behind the monstrous creations and sharp fangs, are stories of broken souls driven to behaviour that ultimately unfairly defines them as evil in the eyes of humanity, but disguises good intentions gone awry. Director Francis Ford Coppola, was something of an auteur in 1992. He had carte blanche at the time and a lot of freedom from financiers and the studio, and it shows in every frame. It is lush, vibrant, has exceptional set and costume design and incorporates lots of different artistic choices which are interesting, such as an old real hand-cranked Pathé camera, which is used during a crowd scene in London, and Jonathan Harker appears to cascade down the castle walls during escape… (there are lots of motifs from 40’s and 50’s cinema throughout). 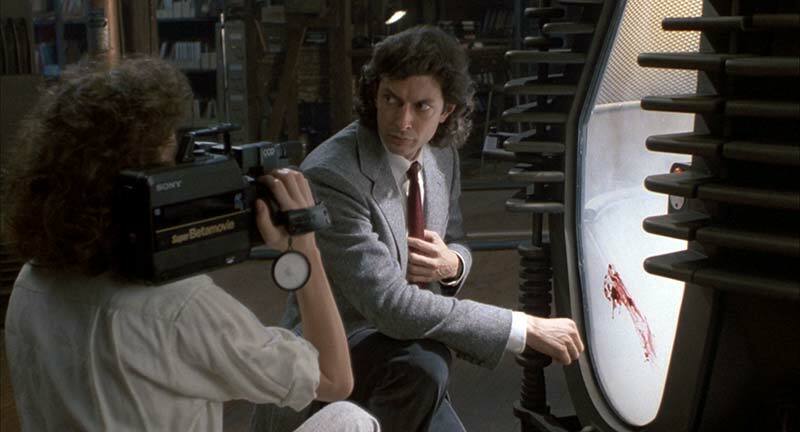 The Fly (1986) directly draws its inspiration from classic horror, both literary and cinematic. There’s too many film references to mention. It’s a reimagining of the 1959 original starring Vincent Price but owes more to Frankenstein, Dr Jekyll and Mr Hyde and Kafka’s The Metamorphosis amongst others. Another cautionary tale, it is at its heart a romance. By chance, Seth Brundle meets Veronica, a journalist. A subsequent romance forms, but it’s torn away by Brundle’s self-destructive nature combined with his obsessive attitude to his work, ultimately overriding any normal life he momentarily connects with through Veronica. The Fly takes a swipe at pretty much everything including our own self-deprecating nature when it comes to dealing with the ravages of disease and age, but it’s Seth’s reluctance to embrace romantic attraction and instead give way to his baser human instincts or human-crossed-with-a-fly instincts (it’s a metaphor either way), that make it a tough watch emotionally…leaving a character torn between what is essentially, two different people. There was also an off-screen romance during the filming and the chemistry is more than visible on screen. Crimson Peak isn’t particularly deep at all. It looks great and has nice production design. There’s a romance at the centre of the film, that works, despite a lack of chemistry between the lead actors. Director Guillermo Del Toro has attracted Oscar attention for The Shape of Water: however, this isn’t his strongest film, but it’s worth a watch. 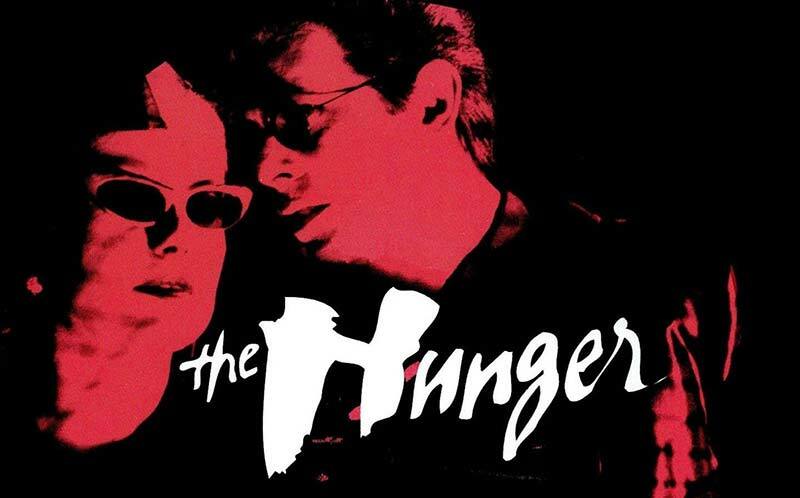 The Hunger is a case of style over content. There’s bags of style here, but the narrative is thin and distant. The story is adapted from an interesting novel by Whitley Streiber. And it goes like this: during the 18th century, a vampire (Catherine Denueve) and a human she’s sought out and bitten (David Bowie) on the understanding he will live forever, have a romance for 200 years before the human, played by David Bowie finds, to his horror, that he’s starting to age in the 21st Century. Bowie and Deneuve work well together and have chemistry. There’s some pretty heart wrenching scenes towards the end, which are equally disturbing and emotional, but it’s certainly a romantic film, and like most on this list, has a good soundtrack. Sleepy Hollow is a fun gothic horror film, with lots of romantic subplots, some disturbing and some with fairy tale qualities. There’s nothing too serious going on here, it’s quite a light affair despite it being a horror. The headless horseman is paper-thin as a character and could have done with fleshing out and the plot, despite being based on the novel by Washington Irving, reminds me of an episode of Midsomer Murders. Excellent film though. This is categorised as romantic horror, so I’ve decided to put it on this list. I enjoyed it, but I don’t think it’s a subtle affair at all. It’s at times quite a disturbing watch but if you like your romance dark and morbid, give it a try. Kenneth Branagh’s much maligned adaptation of Frankenstein is not anywhere close to as bad as the bad reviews it received in 1994. One would have thought it had the potential to be on par with Coppola’s Dracula, given its desire to remain faithful to the novel – which it doesn’t entirely. It wasn’t even close, but it’s a decent horror film and has some equally impressive elements that don’t quite match the sum of its parts. The romance, or shall we say the emotive themes, work throughout. 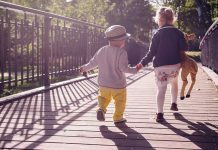 Can life overcome death and retain enduring love? Does the need to resurrect a loved one from beyond the grave show evil or good will? Mary Shelley’s novel is brought to the screen beautifully but falls short narratively. There’s an unfortunate bit of casting. Frankenstein’s creature (he was never called a ‘monster’ in the novel) is portrayed by Robert De Niro, which was misstep; although, you can assume the studios placed pressure for a well-known name. Subsequently, the fear of the unknown, which is what works so well in horror, is lost and with long passages of dialogue by a Hollywood actor playing the creature, you start caring too much and the fear factor goes out the window. The film picks up in the latter half, with some tense and emotive scenes, coupled with an underrated score. 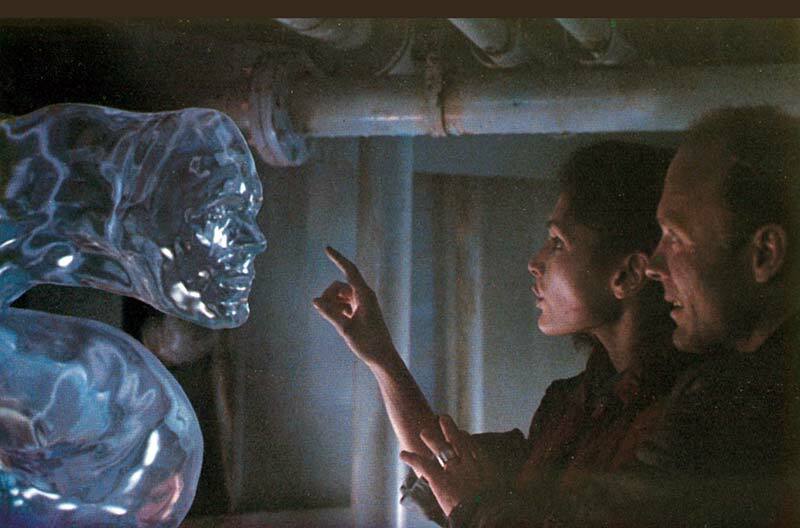 The Abyss, like many great films, barely broke even at the box office, which is a shame as it’s a great science fiction film, and deserves to be seen by everyone. Plus, it’s romantic. The story focuses on a deep-sea drilling platform, managed by Virgil Brigman (Ed Harris), the estranged husband of Dr Lindsey Brigman (Mary Elizabeth Mastrantonio), who designed the platform. They are ordered to engage with the US government after a submarine collides with an unidentified object in the ocean, and Virgil’s estranged wife Lindsey gets involved too, which quickly rekindles their romance. The government send a SEAL team to retrieve a trident missile from the sunken submarine, which may have encountered extra-terrestrial life. Trouble starts with clashes of jurisdiction and a member of the SEAL team starts to lose the plot. This film is a real stand-out, and it manages to capture a real heartfelt romance without feeling sentimental and, on top of that, it’s underwater with everything going wrong. It’s not got anything unpleasant in it, and it’s upbeat, which singles it out in this list. Furthermore, this film was a big deal in terms of special effects at the time (such fluid CGI was in its infancy), and the effects scenes are beautifully rendered on screen – they’re quite awe inspiring, even now. 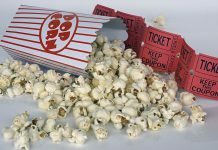 Overall, it’s surprising just how many films falling under the categories of Horror or Science Fiction capture romance on screen much more vividly and ultimately more accessibly for the majority of us, than the box office smash romantic comedies promoted as traditional cinematic romance. Yes, there are other genres that get lacklustre one-size-fits-all movies – Christmas and Halloween receive generic, uninspired treatments, but with a closer look you can find something more realistic and sincere … a truly scary film or something that captures the real meaning of Christmas. Think of It’s a Wonderful Life instead of Elf or John Carpenter’s Halloween instead of Saw. If you enjoy what you’re watching then it’s done its job effectively, but it’s sometimes worth ducking out from under the romantic genre umbrella and tasting some different fayre. Thankyou for a very informative article that deeply expresses your fondness for the horror genre. Growing up in the 80’s was where I first discovered my love of film, especially horror as I was so curious regarding the special effects and how they made certain scenes work. I often found myself trying to figure out what was going on off screen rather than on it during many memorable scenes, my favourite being An American Werewolf In London. A great horror film with a love story stitched inbetween. I learnt so much from that film, and took it on myself to visit all the locations where the film was made, including Crickadarn in Wales. This was of course where they shot the exteriors for the Slaughtered Lamb pub which had the Art Department hang the famous sign over what was a basic cottage building. In those days there was no cgi and everything seem to have an organic vibrancy, especially when the blood and gore effects were captured in real time at 24 frames per second. In modern film I just feel the use of cgi is being over used, and certain effects have an artificial look to them but it could be that the digital format that is used today does not capture time the way super 16mm stock did when it was running through the mechanasim of the analogue cameras. 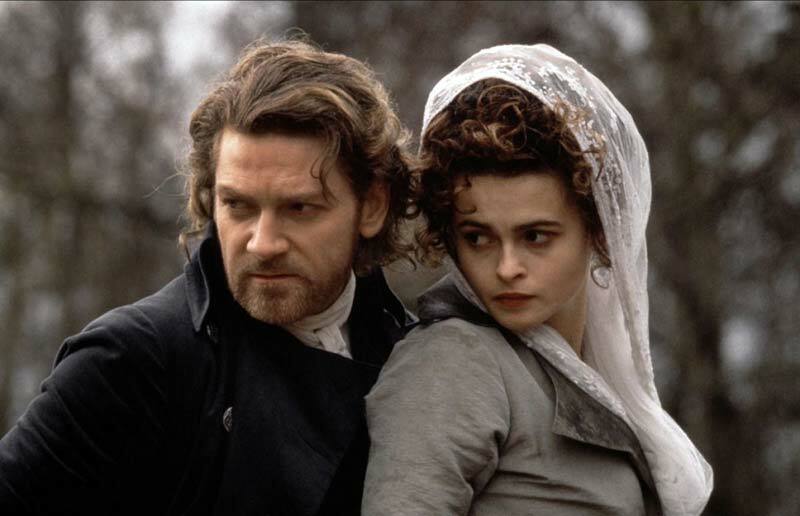 I agree with you totally about Mary Shelleys Frankenstein, Branagh did a great job in his dual role of Acting and Directing and tried his craft at creating the most faithful adaption of the novel ever committed to celuoid. Some say he should not have tried to film Bride of Frankenstein, but it was in the original novel. Maybe he should have took a leaf from his predecessors book and filmed the story as two parts, but my guess is that the studio would not commision this in case the film turned out to be a disaster at the box office. All in all a great article, I will be revisiting some of the films you mentioned and have the sound switched up an extra notch for a more absorbing experience.